World Premiere: Butter and friends call for us to "Rise"
(August 6, 2018) Butter is a drummer, DJ, video director, songwriter and music producer whose extensive client list includes Grammy-winning artists Roy Hargrove, Take 6 and Lalah Hathaway. 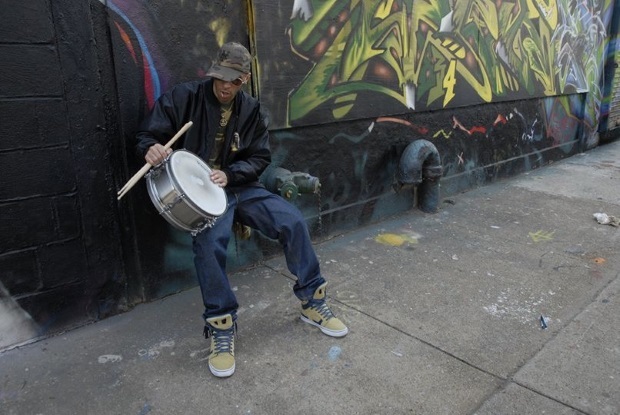 With his broad range of musical styles, from hip hop to rock to R&B and Jazz, Butter is a creative chameleon, whom SoulTrackers will want to get to know. Butter tells us, “I made this video with 2 objectives in mind, to make people Think & Dance! If those 2 things occur when folks listen and watch, then I would have accomplished what I set out to do." We think it worked out great. Check out "Rise" below, and tell us what you think.